From implementing the Help America Vote Act in the early days, to tackling the never-ending battle of election security to dealing with a statewide recount for a presidential election, Nebraska’s John Gale, Michigan’s Ruth Johnson and Colorado’s Wayne Williams have seen a lot in their combined 30 years as secretaries of state. All three will be leaving office in the coming days to pursue other opportunities or to enjoy time with family and friends in retirement. Before they close the door on their offices one last time, we sat down to talk with them about their experiences, good and bad, as secretary of state and what are their thoughts about elections in the future. We reached out to all the departing secretaries of state for an exit interview. Arizona’s Michele Reagan and Ohio’s Jon Husted declined our offers and we received no response from Georgia’s Brian Kemp, Kansas’ Kris Kobach or South Dakota’s Shantel Krebs. If we hear back from any of them in the coming weeks, we’ll be sure to post it as soon as possible. John Gale was first appointed secretary of state in 2000 and then was elected for the first time 2002 with re-elections in 2006, 2010 and 2014. Gale was active in the National Association of Secretaries of State and is the past chairman of NASS’ Business Services and International Relations committees. What will you miss most about being secretary of state? Having managed a modern, uniform, reliable, transparent and accountable election system for 18 years; adopting online voter registration in 2015; acting as goodwill ambassador on behalf of our state for over 5,000 foreign visitors to our State Capitol; initiating multiple student civics programs that reached hundreds of thousands of Nebraska students; maintaining modern and progressive business services to our businesses and banks, helping Nebraska be a leader in business regulatory climate; and, a great sense of fulfilling and positive public service. What do you feel was your greatest accomplishment as secretary and why? a) Maintaining a quality staff committed to our motto of “Prompt, Personal, and Professional Service”; b) Managing an agency that has been aggressive and pro-active as a leader in state government with online services; c) reaching over 250,000 students with useful and educational civics, international relations, and state history programs; and, d) meeting as Chief Protocol Officer with over 5,000 distinguished foreign visitors and creating positive personal international relationships for the benefit of Nebraska. What was the most difficult time/issue you faced (electionswise of course) as secretary? Adopting the mandates of the federal Help America Vote Act of 2002, and transitioning from a 93 county-based patch-work of election management to a statewide election management system with state ownership of election technology and a statewide voter registration system with regular maintenance of equipment and update of software provided by the state through reliable vendors, allowing a uniform, secure, well-maintained, efficient, accurate, and accountable election system, based upon paper ballots. As an expert in the field of elections, what do you feel is the most pressing issue facing elections officials? Protecting our election systems from cyber vulnerabilities with adequate cybersecurity resources; even with paper ballots there are still many vulnerabilities that must be addressed from state and county email systems, to any methods of electronic transmission of critical data, to secure warehousing of electronic equipment and flash drives, to rapid notification systems to provide early warnings of threats. Public confidence is vitally important and steps must be taken to assure the public that their voter registrations and their ballots are protected and preserved from corruption or hacking. What’s next for you, besides being able to sleep in on election days? I’ll stop wearing suits and ties every day after 60 years as an attorney and public servant! We have four grandsons in western Nebraska and Wyoming and one grandson at the Naval Academy whom we look forward to seeing more often. They all like to hunt and fish, as do I. Their dads, our sons, are great companions as well. We have a daughter and son-in-law in southern California, whom we love to visit in the winter. My wife and I also look forward to traveling around our great state to enjoy the marvels and beauties of Nebraska, well-remembered by us from our years of campaigning and my travels in the course of my 18 years as Secretary of State. The people of Nebraska are warm and hospitable people who are fun to visit with wherever you meet them, whether coffee shops, bed and breakfasts, local diners, or tourist stops. Ruth Johns on was first elected to the secretary of state’s office in 2010. Due to term limits she was not able to seek re-election in 2018. Before becoming secretary of state, Johnson served as the Oakland County clerk/register of deeds from 2004 to 2010. The thing I will miss the most is all of the incredible people that I have had the privilege to work alongside for the past eight years. This includes my excellent staff and the many local and county clerks across Michigan who are on the front lines of our democracy and delivering services. They all do a fabulous job of helping to protect the integrity of our elections. I will also miss my role as an advocate for voters, but will continue to promote transparency and security in elections as I move to the Michigan Senate. In the area of elections, I am most proud of our statewide rollout of new, modern voting equipment in every jurisdiction across our state. We planned ahead and were able to use HAVA funds to cover the vast majority of this cost. Along with a state appropriation, this enabled us to provide the new equipment with the latest cybersecurity features to local units of government at no cost (including covering the first 5 years of maintenance costs). I believe the paper ballot optical-scan systems that my administration chose will help to ensure secure and transparent elections and serve voters and election administrators well over the next decade. Particularly with new cybersecurity concerns, I feel strongly about having a paper backup so that ballots can be manually recounted when necessary. I always say we want a “belt and suspenders”, so we have the most up-to-date equipment and cybersecurity measures, but also we have a way to do a manual recount if needed. What was the most difficult time/issue you faced (elections wise of course) as secretary? The statewide presidential recount in 2016 was an incredible challenge. Election officials across Michigan had not conducted a statewide recount in more than 60 years and we had the eyes of the world on us. But this is where planning pays off. The “belt and suspenders” philosophy of hoping for the best, but planning for the worst. We have procedures ready for power outages, natural disasters, and anything else that might impact our elections process, and we had procedures ready for a statewide recount too. I was so proud of our Bureau of Elections staff and of clerks across the state who successfully met the challenge head on with teamwork and professionalism at all levels. Also, cleaning up our Qualified Voter File was an arduous task. When I took office we had about 102.5 percent of eligible people on our Qualified Voter File. I’m not a mathematician, but I certainly understood this was a problem. Since then we have removed over 1.2 million people, including hundreds of thousands of voters who had died or had moved and were voting in another state. We have also removed 3,505 non-citizens, most of whom probably registered by accident and could face revocation of their legal status if they had voted. A clean qualified voter file is the basis for integrity in elections and prevents opportunities for fraud. At the same time, I am immensely proud that Michigan was named best in the country by USA Today for registering eligible voters through our motor vehicles division (which in Michigan it is very helpful that I also oversee as Secretary of State). Election security, and especially cybersecurity, continues to be a top priority. Michigan’s new election equipment, as well as our rollout of a new qualified voter file system, have been great security upgrades, but we must stay vigilant to remain a step ahead of those who might wish to undermine our democratic processes. As part of our efforts, Michigan is now also piloting risk-limiting audits and has strengthened relationships with state and federal cybersecurity, law enforcement and homeland security agencies. As Secretary of State, our office now has a seat at the Michigan Intelligence Operations Center – our state level law enforcement command center and threat assessor. I think this is a reflection of the times we are living for election administrators. I am unable to serve again as Secretary of State due to term limits, but was honored to be elected by the people of northern Oakland and southern Genesee counties in Michigan as their State Senator, so I look forward to continuing to serve in this new capacity. In the Senate, I will continue to be an advocate for election integrity and to fight against fraud. Wayne Williams was first elected to the Colorado Secretary of State’s office in 2014. Prior to that he served as El Paso County Clerk f rom 2011 to 2015. Williams was the first sitting county election official to be elected as secretary of state. Working with the great team at my office and with Colorado’s county clerks and their employees and judges. Visiting the counties and ensuring we were providing the support they needed was always a highlight of the week. Establishing the nation’s safest voting system. This required the adoption of new voting standards, helping 60 counties to purchase machines using those standards, and establishing the nation’s first complete risk limiting audit. This new system resulted in increased voter confidence and record turnout in the 2016 general and the 2018 primary and general elections. Establishing new voting standards. I was questioned by the legislature and county commissioners, sued by vendors, and sued by counties. Knowing some of what I would face by taking this step, my staff questioned whether I should take the risk. I said it was worth it. Ensuring voters’ confidence in the integrity of our voting systems. Hopefully saving on gas and time commuting without the daily three-hour roundtrip from my home in Colorado Springs to the office in Denver. Since my wife (and newly elected county commissioner) Holly vetoed the house husband idea, I’m reviewing several possibilities. As Secretary of State, you represent everyone, not just those who voted for you. Seek to work with folks from all points of view and across the state. Thanks to all three Secretaries for their thoughts, and their service – and a tip of the old #electiongeek cap to my longtime friend and colleague Mindy who conceived of these exit interviews years ago and has made them a regular feature of her year-end coverage. Ohio Early Voting Case: What’s The Baseline? 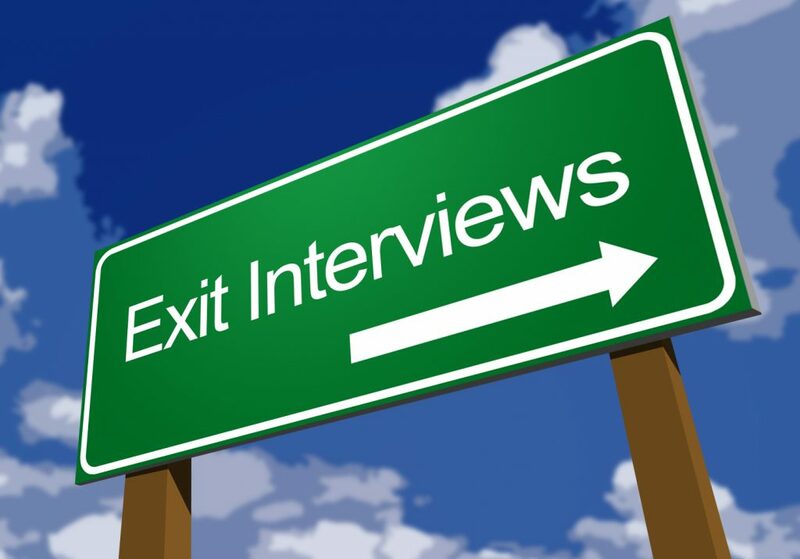 Be the first to comment on "electionline’s “Exit Interviews” with Departing SoS in NE, MI, CO"